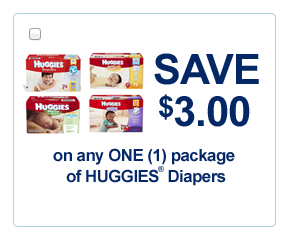 High Value $3/1 Huggies Diapers + $3/1 Via Snap = $2.99 at PC! The high value $3/1 Huggies Diapers coupon is back on pickthevalues.com. To access the $3/1 one you must click to share and then enter 3 emails.